Baking, it's undeniably one of my great loves. And more often than not, I don't have the time to spend in the kitchen whipping up a tasty delicacy. But, a few weeks back I tried out a new cinnamon roll recipe, and worked with it, tweaking some things to make it my own. So, with snack duty this Sunday for our Young Marrieds class at church, I knew exactly what I would be bringing. As with anything homemade, you take the chance of a recipe gone wrong, especially if it's only the second time trying it out. To my delight, I think I nailed it and my class was quite pleased with these super tasty rolls (see the title). I encourage you to try it out; while the recipe looks intimidating at first glance, I promise it's not difficult at all and it's sure to put a smile on anyone's face! 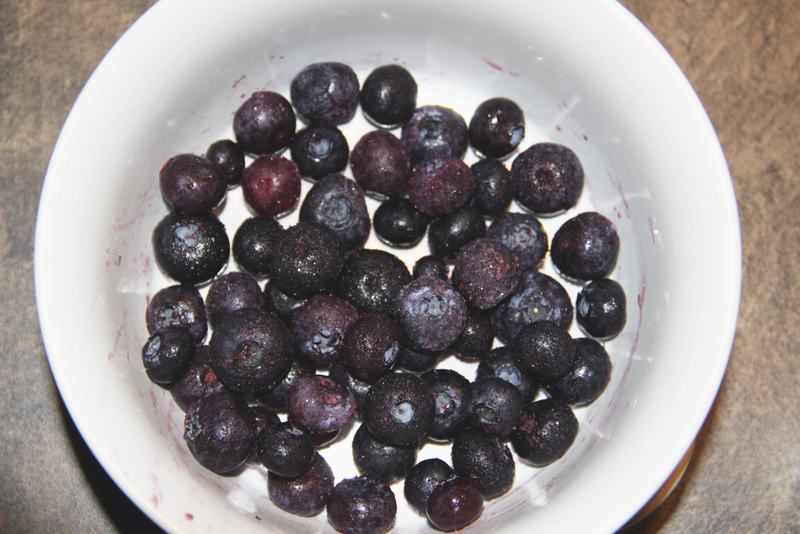 Combine the lukewarm water, 1 TBSP of sugar and the dry yeast in a bowl. Stir well and then set aside. In a large bowl, sift in the bread flour. Then add the remaining 3 TBSP of sugar, the salt, and room temperature butter. Mix well. Now, add the hot milk (which we heated in the microwave for 35 seconds) and the dry yeast liquid mixture. Stir until the dough is formed. On a floured surface, turn the dough out and kneed it until it is smooth and elastic. Set aside for 10 minutes. After the dough has rested, roll it out into a rectangle of 1/4 inch thickness. Spread the half cup of softened butter over the entire surface. Sprinkle the brown sugar, cinnamon, and nutmeg, leaving a small, untouched edge on one side (used for sealing the dough after having been rolled into a log). Take the edge brimming with filling ingredients and begin rolling it into a log. Make small folds as you roll the dough so the cinnamon roll log is tight. Be gentle. Next cut the log into segments of about 2 inches. You should end up with 12-14 rolls, plus two end pieces. Bake the buns at 350° for 25 minutes in an edged baking dish. I used a 9x13 dish. While the buns are baking, mix the glaze ingredients together. 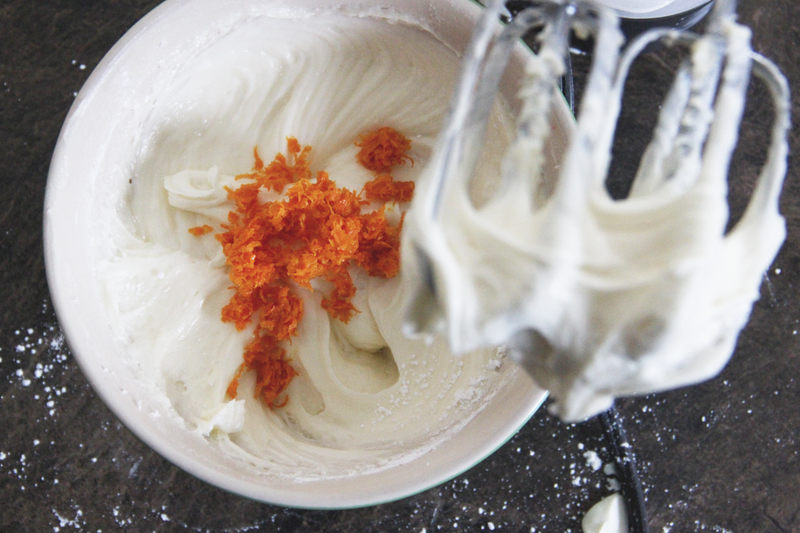 Using a mixer, cream the butter, cream cheese, confectioner's sugar, and orange zest until thick and smooth. Taste along the way to ensure you get the desired taste. After the cinnamon rolls have completely baked and are out of the oven, spread the glaze over them. 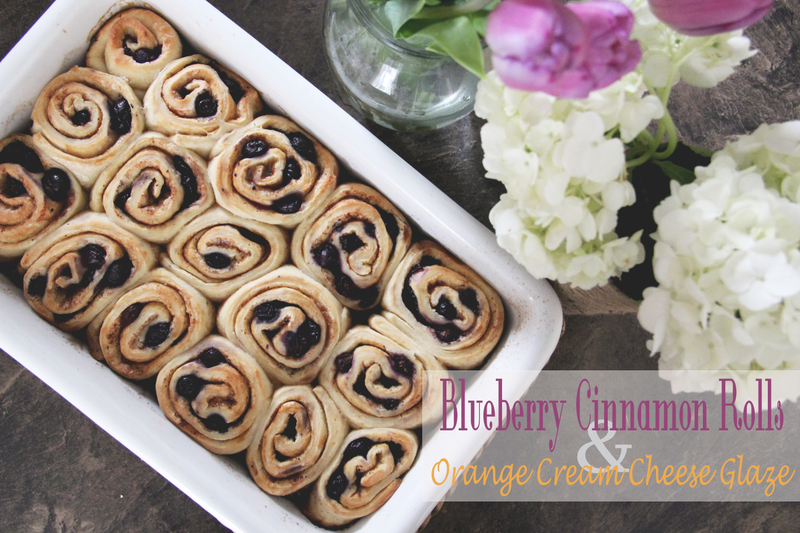 Enjoy these scrumptious treats and share with me some of your favorite dessert recipes! I'm always looking for new ones to try out!